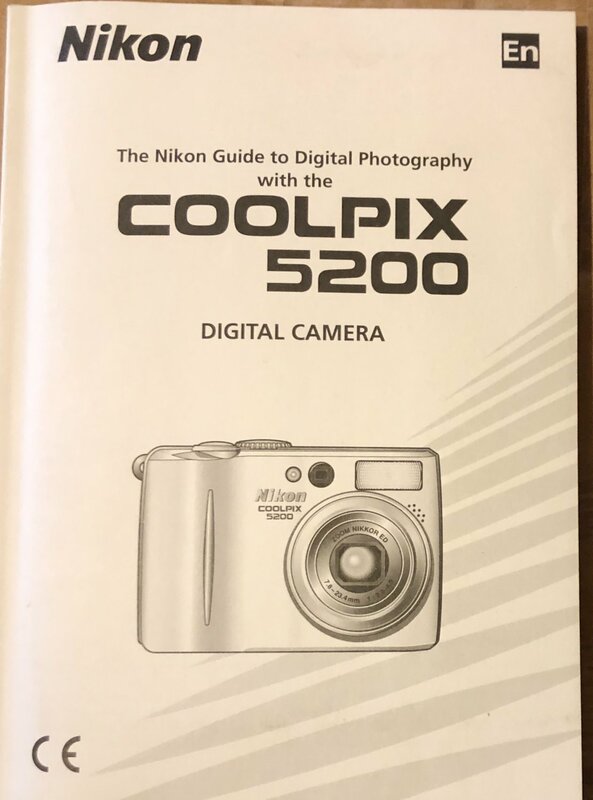 NEW: NIKON COOLPIX 5200 DIGITAL CAMERA OWNER'S MANUAL BRAND NEW ENGLISH ORIGINAL/NOT REPRINT! SEE PHOTO! Buyer pays shipping & handling, $5(within US). All other shipping destinations, please contact us for s&h costs. All sales are final.Proceeds from our sales benefit charities through Pro Players Association.Dedicated to Serving the Community, Pro Players Association is a community service organization comprised of current and former professional athletes,media personalities and associate members who work voluntarily on behalf of the community. Pro Players Association’s goal is to raise money for worthwhile programs and charities which will benefit the community. Their mission, simply stated, "Dedication to Serving and Giving Back to the Community", is one proven many times since their incorporation in 2002.Pro Players Association is a 501c3 non profit charity.